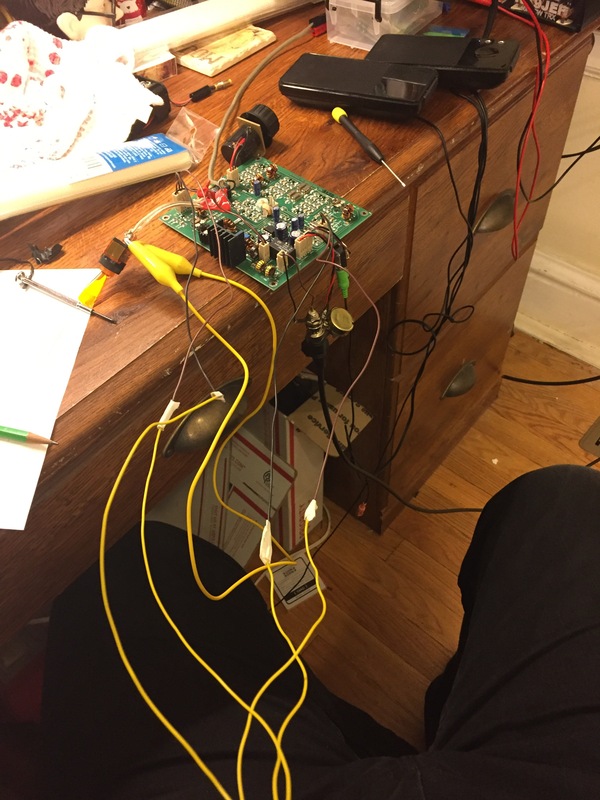 This past weekend, I started on the process of laying out the 50W QRP Amplifier project as a PCB. Small PCBs can be remarkably inexpensive these days – $10-$15 for 5 pieces of say 4″x4″, shipped in 2-3 weeks. I’m treating this amplifier project as a chance to experiment with different, similar FETs to learn about critical power MOSFET properties, and also as an opportunity to brush up my layout skills that I haven’t used in awhile. As the first step of PCB design, I captured the schematic of the amplifier as built in AutoDesk Eagle. I did this on a livestream on YouTube, the first time I’ve tried such a thing. It was great fun! Kenneth W6KWF stopped by to lend advice – he deals with prototype PCBs as part of his day job, though he has team members to do most of the actual layouts when needed. We’ve had a great deal of fun over the years, including building a cloud chamber for seeing charged ions in high school. Here’s the full (2h45m!) livestream in all its glory! There’s a recap and full-circuit overview at 2h41m for those who want to see the final circuit. A few weeks ago, I participated in the ARRL Fall Sweepstakes SSB Contest, and succeeded in making my first voice contacts from home. It’s incredible what you can do with 5 Watts and a simple antenna! Over the course of about an hour on Saturday night and another hour after work on Sunday, I made fourteen total contacts all across the US, including Colorado, Illinois, Kentucky, Manitoba Canada, Maryland/DC, Michigan, Minnesota, New Jersey, New York, Ohio, Ontario Canada, Texas, and Virginia. Several stations clearly had to reach way down into the muck to pull me out of the noise, which was very much appreciated. I’ll save that story for another post though. Hear you on the air!